The Rev. 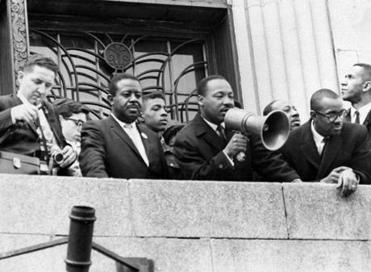 Martin Luther King Jr. greeted supporters in April 1965 during a march to Boston Common. A memorial to the civil rights icon, who attended Boston University, could be placed on the Common or elsewhere in the city. 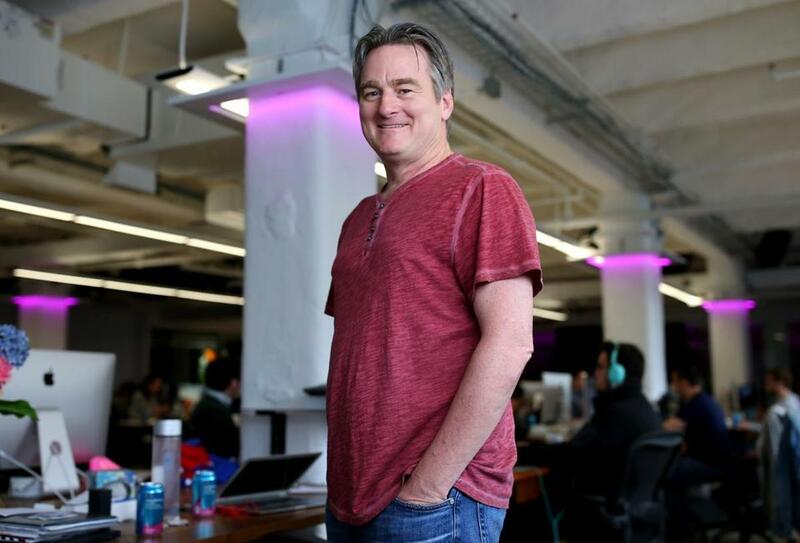 Mayor Martin J. Walsh plans to throw his support behind a campaign by a well-known Boston tech entrepreneur to commission a monument to Martin Luther King Jr. that would be placed on Boston Common or another prominent location. The Walsh administration plans to help with a public contest among artists who would design a statue or memorial honoring King, who earned his doctorate in the city in the 1950s. Under the emerging plan, entrepreneur Paul English will work with members of the community to identify a design and a site that honors “this towering figure of history,” according to the mayor’s prepared remarks in a speech scheduled before the Greater Boston Chamber of Commerce Wednesday morning. English said he has long felt King deserved a public monument in Boston. He recalled visiting San Francisco earlier in September and viewing the King memorial in the Yerba Buena Gardens, and concluding Boston should have a similar memorial. English said, in his estimation, the monument does not have to be a literal likeness of King, but must have a focus on his words and their relevance today. A statue for King in the city that helped form him is long overdue. He has promised to donate at least $1 million toward the effort, and all together wants to raise a minimum of $5 million. He has created a website for the memorial and expects to begin fund-raising next week. Artists from around the world will be invited to submit ideas and portfolios, and English hopes a selection committee will pick five finalists by Jan. 15, Martin Luther King Jr. Day. He expects the eventual winner to be selected with input from the public soon thereafter but has not set a time frame on when the memorial would be installed. King’s time in Boston was short but seminal. In the early 1950s, the Alabama native was a doctoral student at Boston University’s school of theology, where his approach to civil rights was influenced by then-dean Howard Thurman. King was also an assistant preacher at Twelfth Baptist Church in Roxbury. It was there that he met his wife, Coretta Scott, who was studying at the New England Conservatory of Music at the time. A sculpture honoring King, called “Free at Last,” was installed on Marsh Plaza on the BU campus in 1975. It depicts a flock of doves in flight. English’s memorial proposal comes as Boston is again grappling with its history on race. This week, the Globe reported that the area’s five major sports franchises are launching a public service announcement featuring athletes calling on fans to take a stance against racism. That followed two racially charged incidents at Fenway Park in May. That month, Baltimore Orioles outfielder Adam Jones, who is black, was the target of a racial slur hurled from the stands. Later in the same game, Jones said, a bag of peanuts was thrown at him. The following night, after a Kenyan woman sang the national anthem, a white fan used a racial slur in a derogatory description of her performance. Earlier this month, a banner protesting racism was unfurled over the Green Monster during a Red Sox game. English hopes the campaign for a King memorial will further spark an important civic discussion. To Carol Fulp, the memorial is particularly important with the 50th anniversary of King’s assassination, at age 39, coming up in 2018. Fulp, one of the city’s most prominent black businesswomen, currently runs The Partnership, an organization whose goal is to promote the careers of minority professionals. English said any Boston memorial to MLK should be similar to the one in San Francisco (above). English plans to assemble three committees of volunteers to focus on fund-raising, community involvement, and art selection. He expects to hire an executive director to oversee the project and work with an established nonprofit to shepherd it through to completion. Perhaps the biggest challenge: picking a design for the memorial. English would like it to be bolder, more provocative, and less abstract than the sculpture at BU. As for the location, English is focusing on Boston Common for now, but is open to other locations that would “maximize the number of people who see it.” Walsh did not mention any potential site in his public remarks. Elizabeth Vizza, executive director of the Friends of the Public Garden, said the Common would be a logical site, given King’s speech there. 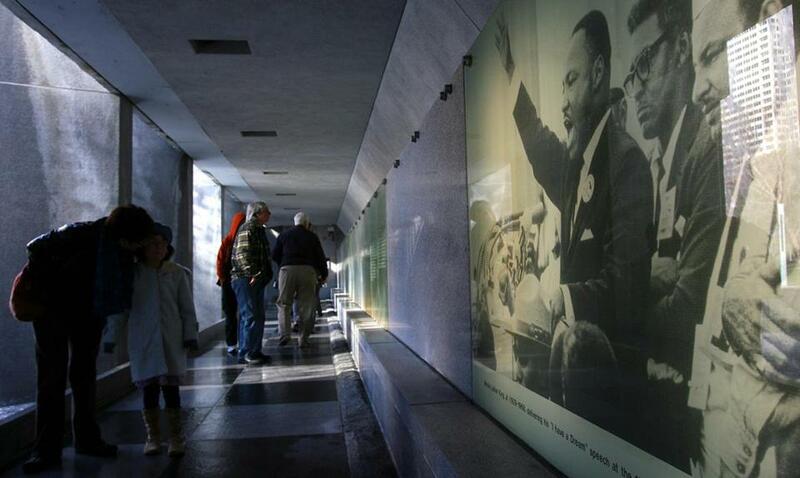 But she noted that it might be a challenge to find a location that would properly honor the civil rights icon while fitting easily into the park. The Walsh administration will help in several ways, including by possibly donating any city land, such as on the Common, needed for the project. The administration has introduced English to community leaders recently, and city officials are also expected to be supportive in providing permits the monument would need. A King memorial has been raised by local politicians before, including Walsh. An effort by then-mayor Thomas M. Menino in 2008 fizzled. More recently, House Speaker Robert DeLeo sponsored an order to create a commission for a King memorial that is now awaiting action in the Senate. 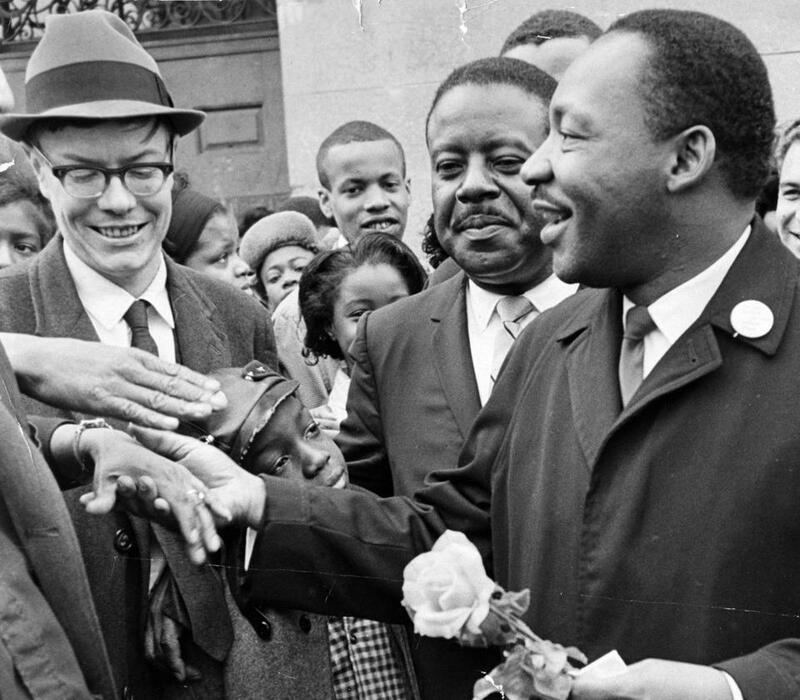 James Rooney, chief executive of the Greater Boston Chamber of Commerce, said Martin Luther King Jr. was an influential figure for him growing up, and for many of his peers. “The timing is perfect when you think about some of the conversations that are going on around this country as it relates to race in particular, and the divisive nature of that conversation,” Rooney said.